The adoption of NLP is expected to pick up momentum in the coming years with the adoption of more personal assistants, increased smartphone functionalities and the evolution of Big Data to automate even more routine human tasks. Artificial Intelligence (AI) and the increased access to powerful processors and cloud computing have made possible significant advances in Natural Language Processing (NLP), the ability of a software program to understand human language as it is spoken. Today, NLP is actively revolutionising communication between humans and machines. In fact, humans do not realise how much we communicate with machines every single day. When conversing with Siri and Alexa, the average person is well aware that they are interacting with a computer, but what about other common uses of NLP we do not even think twice about? When navigating Google or sending an iMessage, NLP is employed to predict the next words in the sentence, a function known fittingly as ‘predictive typing.’ Another extremely common use of NLP, one that we encounter constantly, is Microsoft Word’s spell check. Grammar and spell checks may seem mundane due to years of widespread use, but these early forms of NLP have been slowly preparing humans to become more and more acclimated to communicating with computers as the years pass. Now, thanks to more complex and perhaps obvious examples of NLP, i.e. daily interactions with the aforementioned Siri, Alexa and Cortana, humans are increasingly comfortable interacting with machines, and the future for NLP is literally limitless – MarketsandMarkets research projects that the global NLP market will increase by 15 per cent by 2021. Through advanced computational techniques, NLP accesses raw text to extract meaningful data, thus expediting tasks such as ensuring data security through tokenisation and parsing, part-of-speech tagging, identifying semantic relationships and detecting languages. In regard to part-of-speech tagging, the same way a child still perfecting language may identify a semantic relationship between the words “large” and “big” and label them as adjectives, computers can draw similar conclusions through the use of NLP. Likewise, when employed for language detection, AI can mimic the exact manner in which a seasoned translator quickly detects a language and assesses word meanings, only faster. Why is this capability useful? Just look at NLP’s time-saving applications in personal assistance, gauging sentiment, automating language translation and summarising text. The adoption of NLP is expected to pick up momentum in the coming years with the adoption of more personal assistants, increased smartphone functionalities and the evolution of Big Data to automate even more routine human tasks. The demand for NLP is driven by several key factors, including the ever-growing data generation in business organisations across the globe, the rising demand for a superior customer experience, and the increased use of smart devices across enterprises. Today, NLP is most commonly used in machine translation and cognitive search. In recent years, conversational search, such as when one asks Siri to look up the weather in New York or requests that Alexa shuffles songs by U2, is responsible for the dramatic surge in human-machine interaction. Chatbots are a prime example of how NLP is being used today. Through the use of NLP, chatbots are able to manage complex interactions and streamline business processes. In the past, chatbots were merely used for customer interaction; however, today a large number of startups are now applying the technology to other business areas, such as Human Resources (HR), including apps like Talla and Growboat. NLP is also incredibly useful for organisations to analyse public sentiment about their companies. Sentiment analysis is the process of identifying human emotions derived from text within a social media post. With NLP, companies are now able to access public sentiment about their brand faster and more effectively than ever before, and can quickly determine whether they are receiving positive feedback or undesirable criticism and address their customers’ concerns in a timely manner. NLP is also finding uses in a diverse spectrum of major industries. Banks and several other financial servicing organisations already deploy virtual assistants to resolve basic customer inquiries like how to open an account or recommendations for choosing between types of accounts. 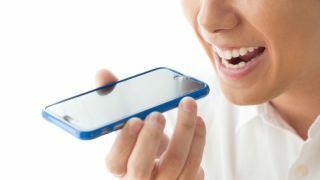 Major automotive manufacturers have integrated voice recognition, Natural Language Understand (NLU) and text-to-speech solutions in their driver assistance systems to access apps and services through voice commands. Similarly, the healthcare industry is integrating NLP into its physician documentation, allowing for the quick documentation of a patient’s story in real time. As technology progresses, NLP will continue advancing in combination with machine learning. For instance, newer, smarter chatbots are beginning to use deep learning to analyse human response inputs and generate a response accordingly. What does this mean? Well, for music lovers it means that music systems will learn to play songs based on an individual’s most recent playlist. NLP is also expected to offer more comfort to humans when combined with IoT applications, such as smart homes, which will allow humans to use their voice to control smart appliances. The true key to unlocking the future of NLP is Natural Language Generation (NLG), which will allow machines to mine massive quantities of numerical data, identify patterns and share that information in a manner comprehensible to humans. The implementation of NLG and related AI tools will allow businesses to manage and use such large volumes of data effectively. Until recently, media companies struggled tremendously with generating content their audiences would find relevant, interesting or informative. But, with the employment of NLG, many media organisations are beginning to transform information about various events into comprehensible stories. This process can save writers’ times and allows them to focus on other important tasks. Beyond the media industry, NLG is anticipated to be used in banking, financial services, insurance, retail, government and healthcare for applications such as fraud detection, predictive maintenance, risk and compliance management and customer experience management. In fact, it is predicted that NLG will become an integral aspect of the Business Intelligence (BI) ecosystem in as little as two to three years. Recent advances in AI and NLP are actively revolutionising communication between humans and machines, and even more routine human tasks are expected to be automated in the coming years. Driven by the exponential growth in data, the increased focus on exceptional customer experiences, and the proliferation of smart devices, NLP has become a reality of daily life and has proven to be one of the most significant technological advancement across all industries in recent decades.